London & North Eastern Railway (LNER) electric locomotive, 1922. 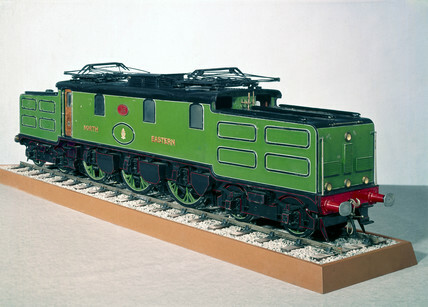 The pasenger locomotive represented by this working model (scale 1:16) was designed by Sir Vincent Raven (1859-1934), Chief Mechanical Engineer of the North Eastern Railway (NER), which became part of the LNER in 1923. In the early 20th century, under the direction of Raven and his predecesor as Chief Engineer, Wilson Worsdell, the NER was one of the first British railway companies to embrace electrification.